Previous research has indicated that many physicians throughout the United States experience professional burnout, a syndrome characterized by emotional exhaustion, depersonalization, and a low sense of personal accomplishment. Studies suggest that burnout can reduce quality of care and increase risks for medical errors, among other negative consequences. Furthermore, there are other adverse personal consequences for physicians that have been linked to burnout, including contributions to broken relationships, problematic alcohol use, and suicidal ideation (read guest blogger, Dr. Rob’s, Top 10 Burnout Triggers). 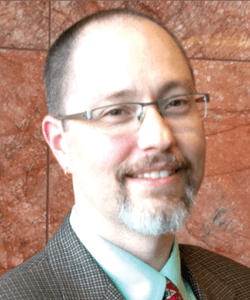 “We have limited data characterizing physician burnout, but few studies have evaluated rates of burnout among U.S. physicians nationally,” says Colin P. West, MD, PhD. “Previous investigations have speculated on which medical or surgical specialty areas are at higher risk, but these analyses have not been definitive.” He adds that research is also lacking on how rates of burnout for physicians compare with rates for U.S. workers in other fields. In the Archives of Internal Medicine, Dr. West and colleagues published a study on burnout involving a large sample of U.S. physicians from all specialty disciplines using the American Medical Association Physician Masterfile. Surveys were used to assess the prevalence of emotional exhaustion, enthusiasm dissipation, cynicism, depression, suicidal tendencies, negative views on work-life balance, and low professional esteem among physicians. 37.9% reported high levels of emotional exhaustion. 29.4% reported that cynicism was an issue. 12.4% reported having a low sense of personal accomplishment. Importantly, Dr. West notes that not all physicians reported an equal tendency toward professional unhappiness. “Our findings suggest that while many of the medical community’s first responders were more likely to suffer from some form of burnout, others were less likely to experience such issues.” These specialists included dermatologists, pediatricians, and preventive medicine physicians. Medical and physician support programs are already in place in every state throughout the country and have reported many successes in helping physicians with burnout and other kinds of stress-related problems. The challenge, according to Dr. West, is that physicians—just like other people in general—often have trouble finding where to turn for help. Support systems are available for physicians, he says, but they must be encouraged to look at their own stresses, determine what kind of help they need, and feel comfortable reaching out for that help when it is needed. With increasing evidence that physician burnout adversely affects quality of care, findings from the study by Dr. West and colleagues suggest that this problem threatens the foundation of the U.S. medical care system. “The problem of burnout won’t go away anytime soon as healthcare reform efforts are likely to increase demand for front-line care providers,” says Dr. West. “It’s important to remember that the origins of burnout are rooted in the environment and care delivery system rather than in the personal characteristics of a few susceptible people. Policy makers and healthcare organizations must address this problem for the sake of physicians and their patients. Shanafelt TD, Boone S, Tan L, et al. 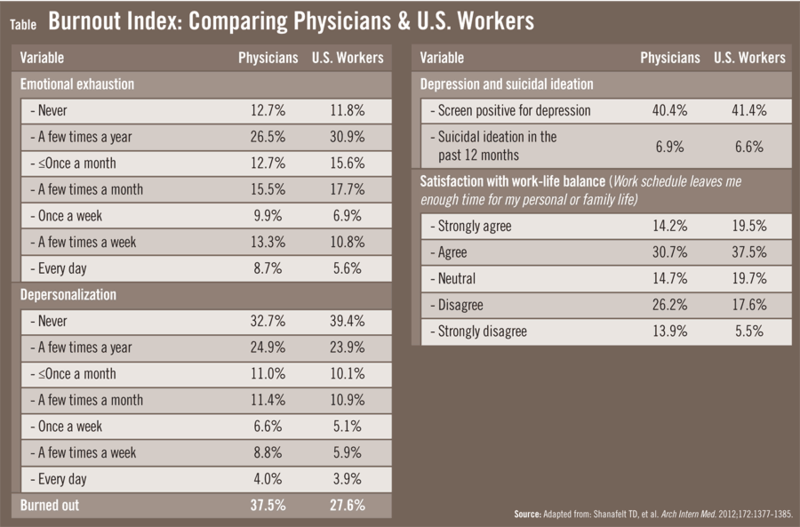 Burnout and satisfaction with work-life balance among US physicians relative to the general US population. Arch Intern Med. 2012;172:1377-1385. Available at: http://archinte.jamanetwork.com/article.aspx?articleid=1351351. West CP, Shanafelt TD, Kolars JC. Quality of life, burnout, educational debt, and medical knowledge among internal medicine residents. JAMA. 2011;306:952-960. Shanafelt TD, Balch CM, Bechamps GJ, et al. 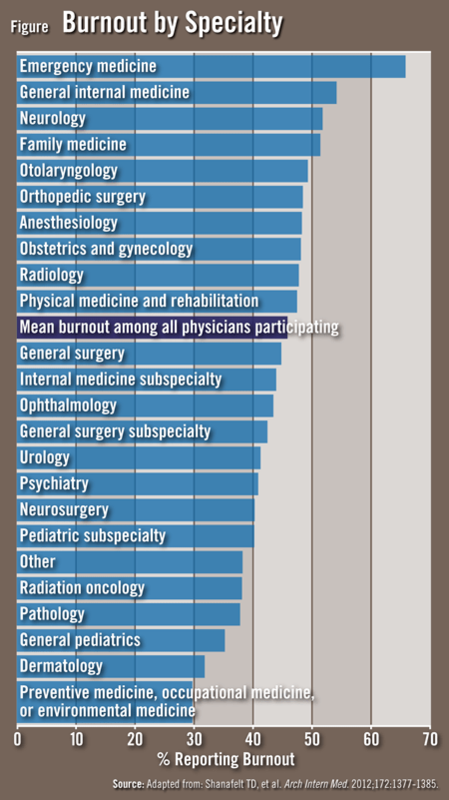 Burnout and career satisfaction among American surgeons. Ann Surg. 2009;250:463-471. Wallace JE, Lemaire JB, Ghali WA. Physician wellness: a missing quality indicator. Lancet. 2009;374:1714-1721. Dyrbye LN, Massie FS Jr, Eacker A, et al. Relationship between burnout and professional conduct and attitudes among US medical students. JAMA. 2010;304:1173-1180. Shanafelt TD, Balch CM, Bechamps G, et al. Burnout and medical errors among American surgeons. Ann Surg. 2010;251:995-1000. Shanafelt TD, Sloan JA, Habermann TM. The well-being of physicians. Am J Med. 2003;114:513-519. Kuerer HM, Eberlein TJ, Pollock RE, et al. Career satisfaction, practice patterns and burnout among surgical oncologists: report on the quality of life of members of the Society of Surgical Oncology. Ann Surg Oncol. 2007;14:3043-3053. Colin P. West, MD, PhD, has indicated to Physician’s Weekly that he has or has had no financial interests to report.